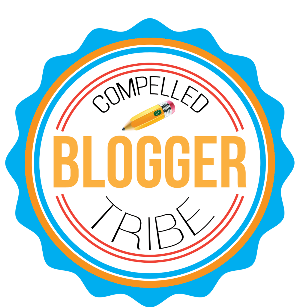 The shared topic this week for the Compelled Tribe is one about competition vs.collaboration. My philosophy and experiences are that they are not mutually exclusive. Below I share one of my experiences and wonder if you have experienced anything like what I describe. That is what a former boss told me. Yes, I am competitive. You know who I compete with? Myself. I want to be great, and there’s nothing wrong with that. Most people I know don’t want to just be mediocre. When I belong to a team, I want our team to be the best. So I will do everything I can to make sure that I contribute in a way that will help the team (school, organization, group, etc) to be successful. So, yes, you’ve seen my competitiveness come out. I wanted our school to be great... better than the rest, in fact. Do you call me competitive because I don’t agree with you all the time? Or because I don’t agree with others all the time? Doesn’t that make us stronger… when we share our ideas and opinions and find the “best” idea for the team, no matter whose idea it is? My track record is one of competitiveness and collaboration. They co-exist. I have spent a career and life working well with others -- contributing, listening, designing, sharing, pushing, pulling, and creating with others. You've never seen me resist collaboration. You did see me encourage it. So get it right. I am competitive. I’m also collaborative. Have you ever experienced anything like this? If so, how did you handle it? 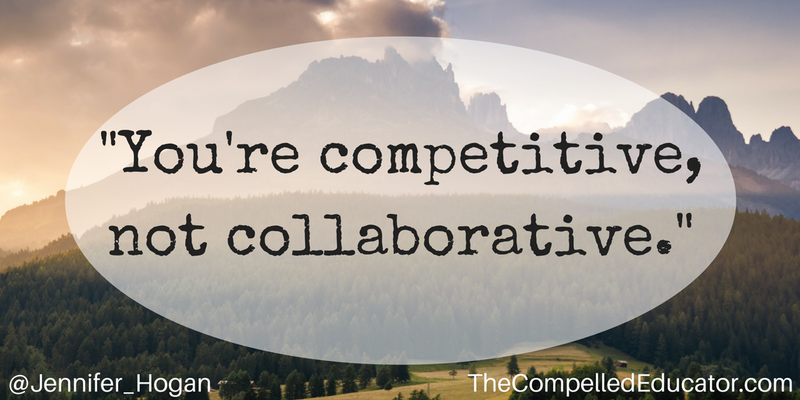 Do you agree that competition and collaboration can co-exist? Many bosses see strong leader types as a threat, so instead of understanding and working with that person they seek removal or placing that person in a position of compliance or leave. Some bosses male and female, see people seeing things outside their box as too different. It is easier to smile, nod, and go along even if you do not buy in to the message being sold. to be encouraged to be outside the box is one thing, to be pushed outside the box and told to stay there and become something you are not comfortable with is quite another. the opinion of an old white male educator now retired. Thanks for reading and commenting, Bob. I'm still trying to understand why it happened. Without giving a long story, I think there were multiple factors. 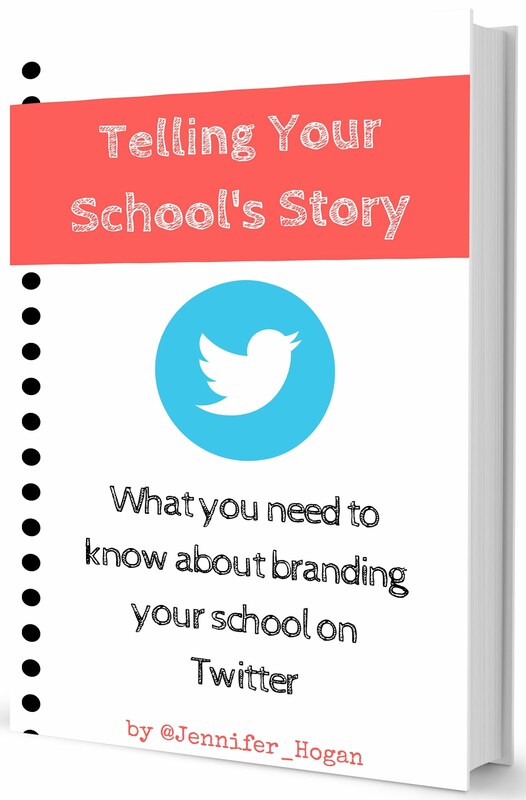 I'm so grateful to be in a school now where competitiveness & collaboration are encouraged. While it was a difficult time in my life, I know that I learned from it and am better for having gone through it. Your blogs always inspire me, but wow, love this one. It hit home. I'm glad to have you as a role model & mentor. Thanks for your kind words, Jodie. My goal is to help others to be strong and courageous in the face of negativity. I'm glad to hear it resonated with you. 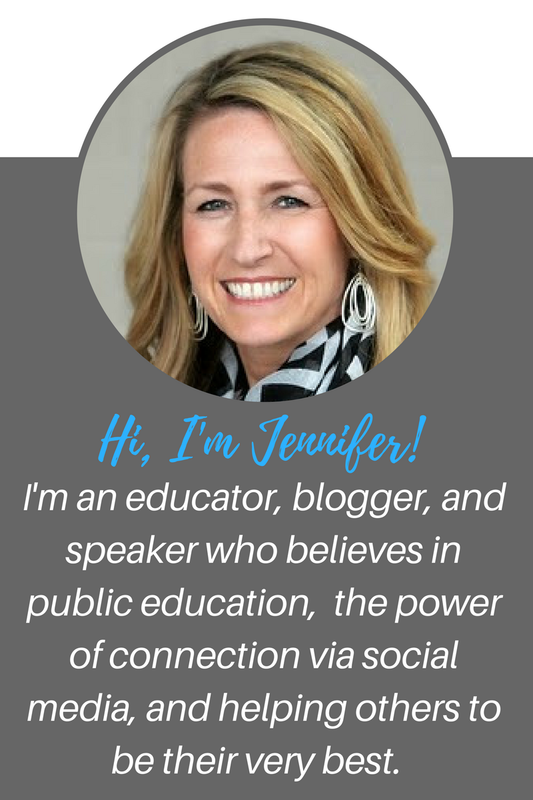 Thanks for sharing Jennifer. I think that statement said much more about your former boss than it did about you. Leaders should be competitive and never settle for less than their best. That doesn't exclude collaboration as you have shown time and again. Keep it up and keep inspiring!! Your words mean so much, Jon. As time has passed, I have come to believe those words... that they show more about my former boss than about me. Hopefully my actions before and after that time period have proven it to others and myself. Thank you for posting. It's always frustrating for me to hear a woman get labeled as competitive, as if that is a bad thing. This attribute is essential to success. I agree with you, competition and collaboration are not mutually exclusive! Justine, I appreciate your reading and commenting! For males, competitiveness is never questioned. As a former college athlete and coach, competitiveness is something that has been reinforced for most of my life and it has helped me become the person I am today. I hope this speaks to many more women that the two qualities can exist together in an awesome way! Jen, this is spot on! There is nothing wrong with being competitive with the goal of raising the bar for everyone. You are awesome at being collaborative while making the entire team reach. That´s just outstanding leadership! !